The Sevillanos (inhabitants of Seville) passionately support the Spanish bullfighting tradition. And the city's Plaza de Toros de la Real Maestranza de Caballería de Sevilla, commonly called the Maestranza, earns accolades as one of the most beautiful and important bullrings in the country, if not the world. Visitors to Seville should put a corrida (bullfight) on their trip calendar, especially during La Feria de Abril (Seville April Fair), when the best matadores (bullfighters) come to town and the sporting atmosphere in the arena and on the streets becomes intoxicating. Located on Paseo de Cristóbal Colón, in front of the Guadalquivir river, the building dates from 1761, making it the oldest bullring in Spain. It took 120 years to complete construction of the oval arena, which holds 12,500 spectators. If attending a bullfight doesn't interest you or your dates don't correspond to the bullfighting schedule, you can take a guided tour of the building, including the bullring, and visit the onsite museum and galleries of bullfight-themed paintings and prints. Bullfighting in Seville occurs mainly around the Feria de Abril. The dates vary from year to year but correspond to Semana Santa, or the Catholic holy week, which ends on the day before Easter Sunday. The San Miguel bullfights happen at the end of September; an event for Corpus Christi occurs in mid-June; and a smattering of fights take place during May, June, and July. The Maestranza also hosts a series of novilladas (bullfights designed to promote new talent), typically in July and early August. Buy your tickets from the bullring (Tel: 954 224 577) or at Empresa Pagés, C/Adriano (Tel: 954 50 13 82). The seats during the Feria de Abril sell out quickly, so plan ahead and purchase early; online sales typically begin the first week of April or a couple of weeks before the start of the festival. It may be possible to purchase tickets outside of the bullring before an event, but the cost can be prohibitive. You can usually secure reasonably priced tickets for novilladas on the same day, however. Seats in the shaded section (sombra) cost more than seats in the sunny (sol) section, but depending on the time of day and the season, the higher price may be worth it. Bullfights typically last between one and a half, and two and a half hours. The season starts on Easter Sunday. Two weeks of daily bullfights take place for the Feria de Abril, typically starting two weeks after Easter Sunday. Bullfights happen every Sunday (except, perhaps, the last Sunday of May) until late June. An extra bullfight celebrates Corpus Christi in mid-June. Novilladas introducing up-and-coming young bullfighters occur typically in July and early August. 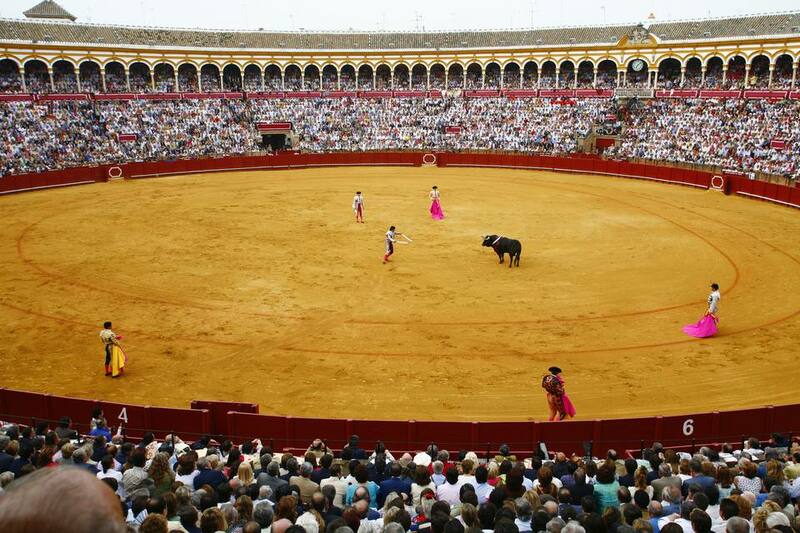 The season ends with the San Miguel festival, a weekend of bullfights at the end of September.